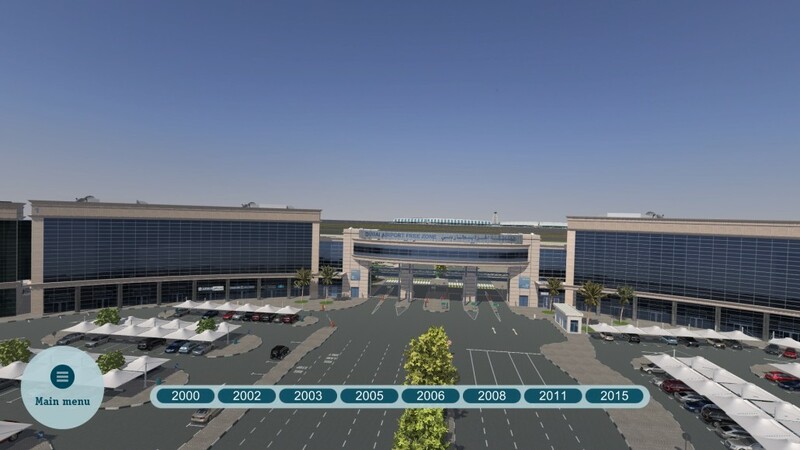 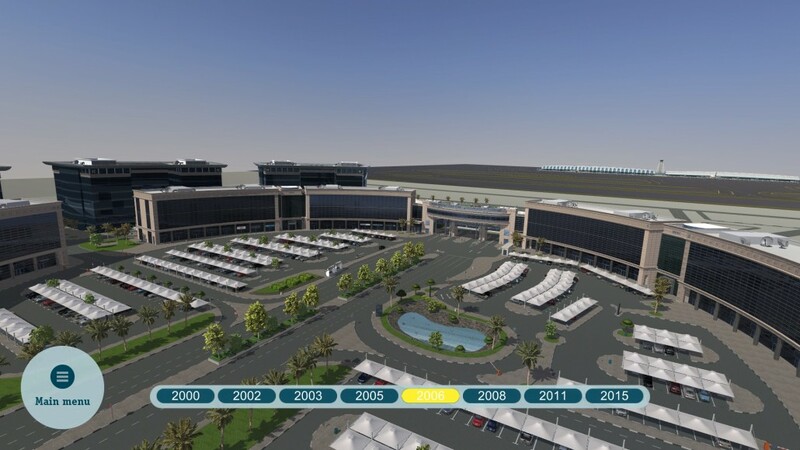 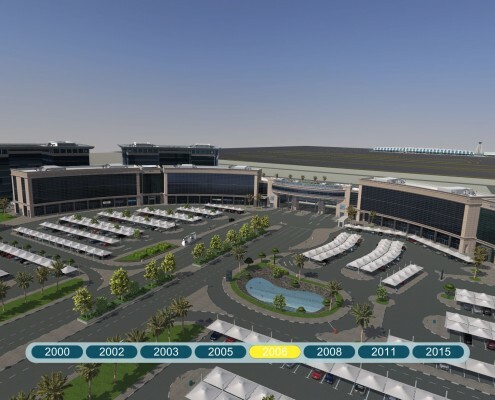 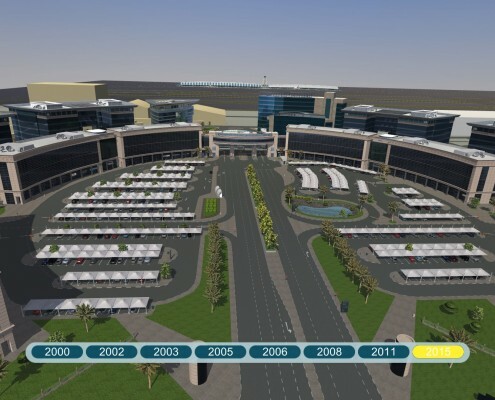 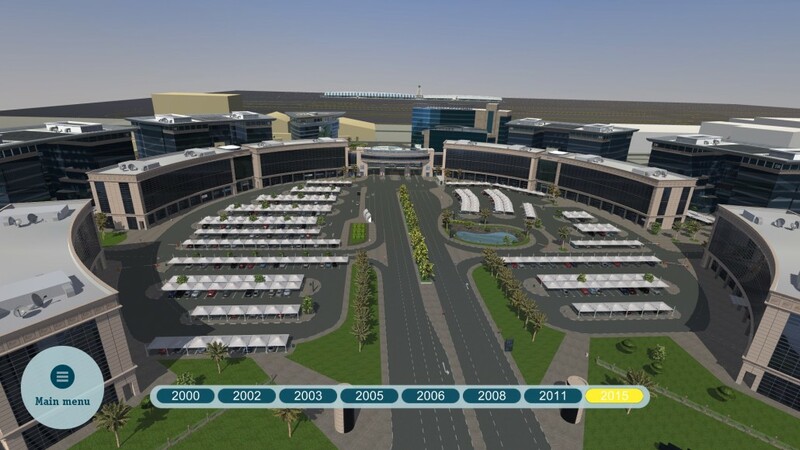 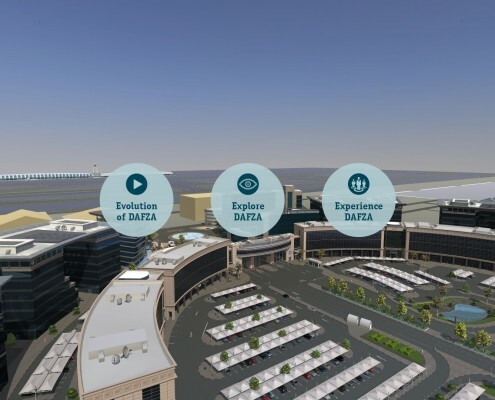 Dubai Airport Free Zone (DAFZA), the top freezone locaton in Dubai wanted to demonstrate their extensive services and vast range of leasable premises. 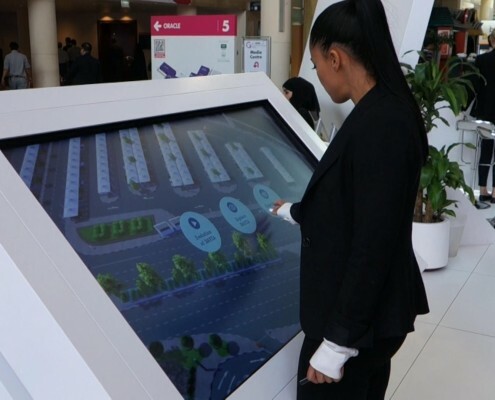 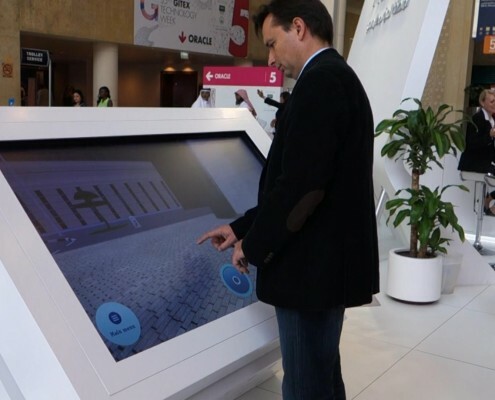 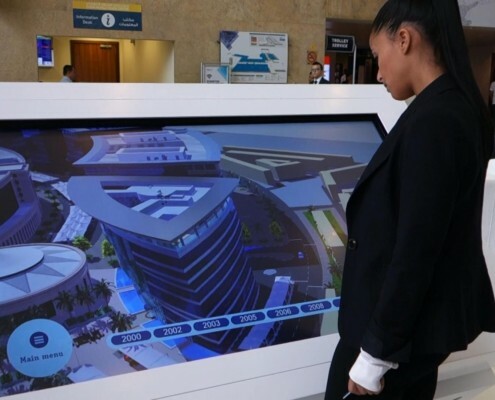 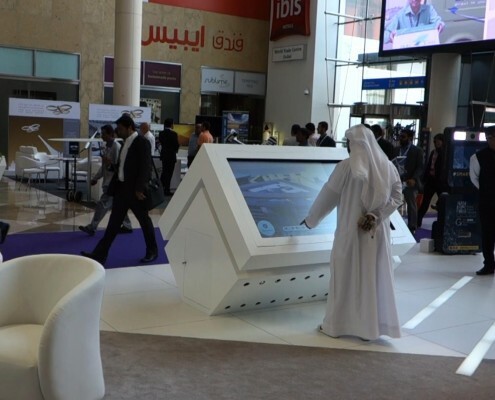 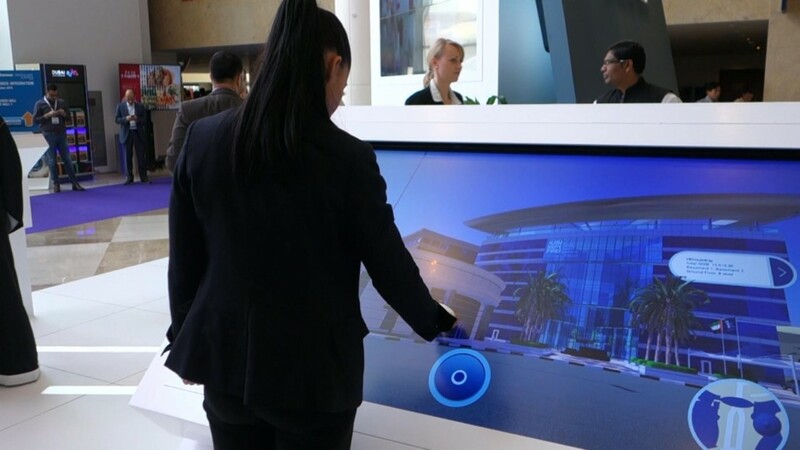 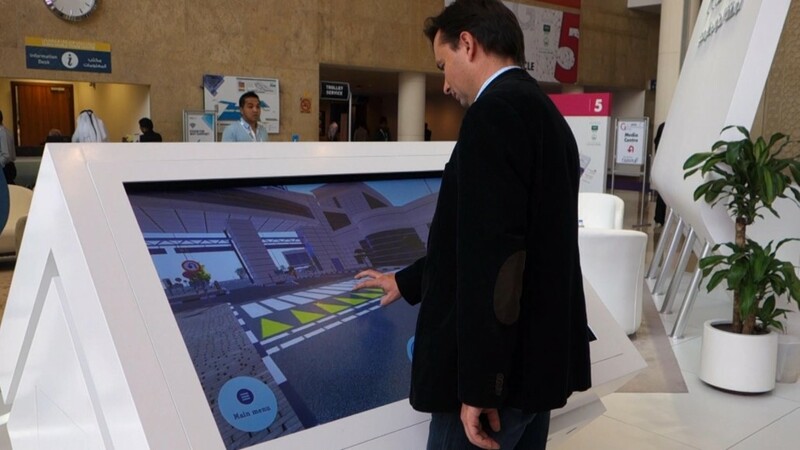 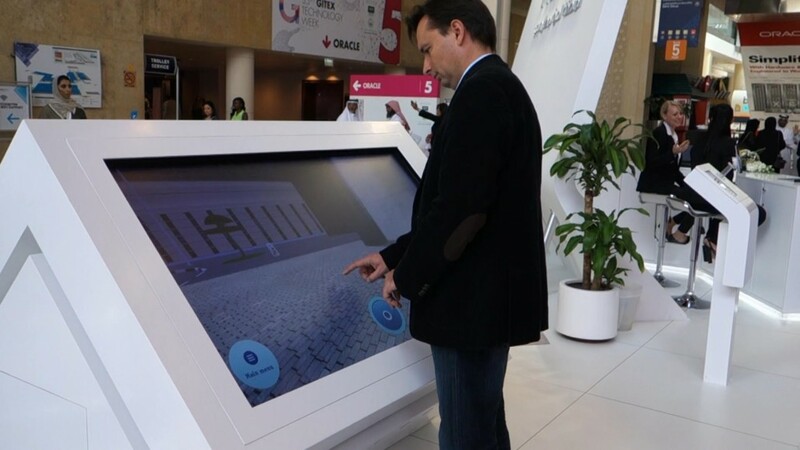 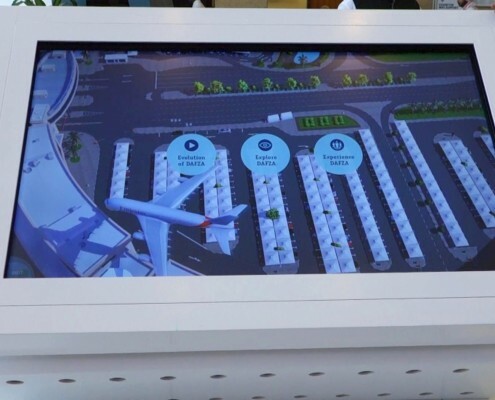 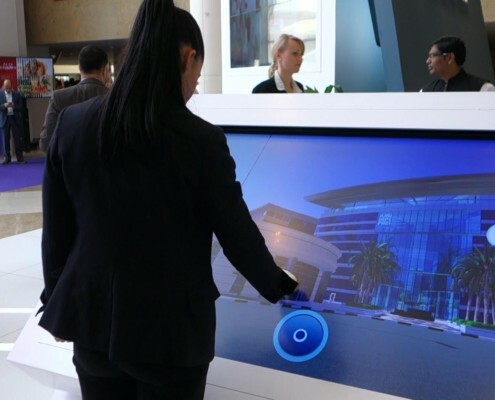 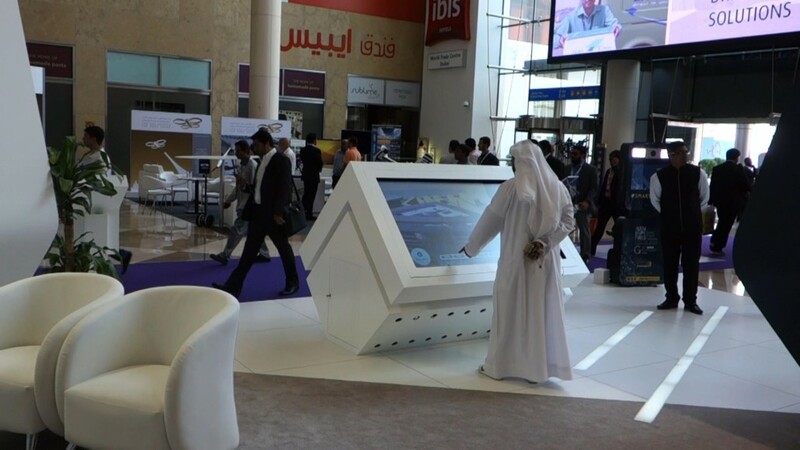 Therefore ARworks developed a touchscreen application that served as an immersive experience to be shown at expos, exhibitions or can be installed at their own venues. 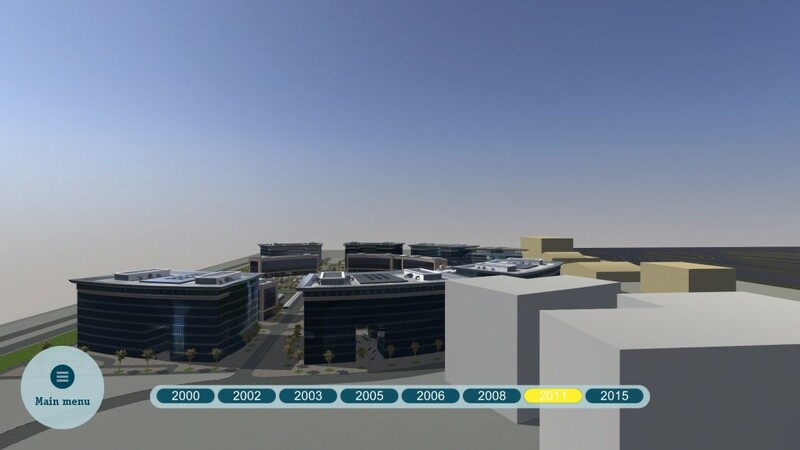 Evolution: A fly-through timeline animation that showed an overview of the whole area and guided users through the different stages of the building up of it. 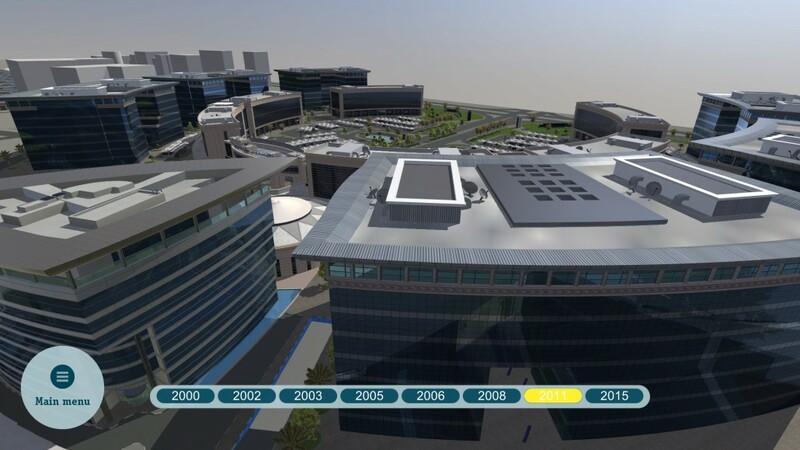 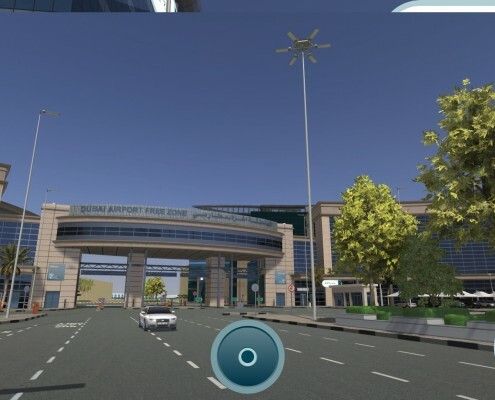 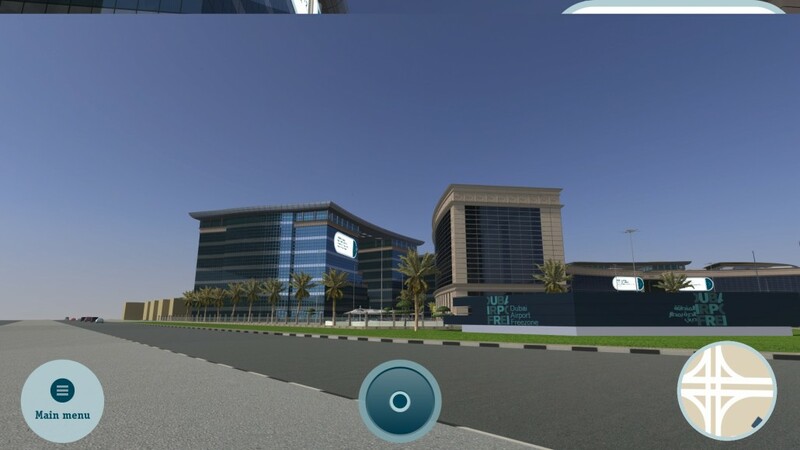 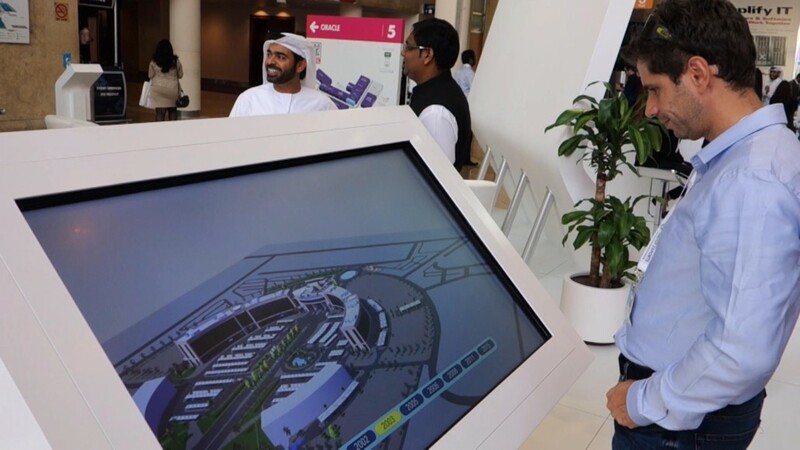 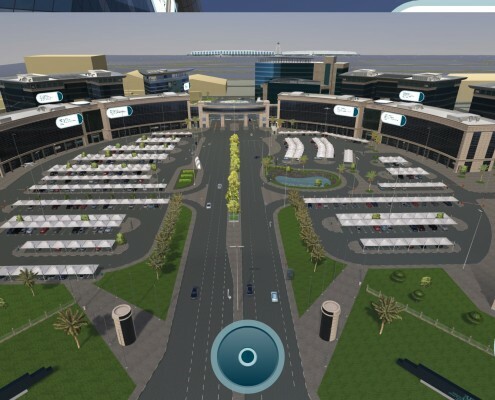 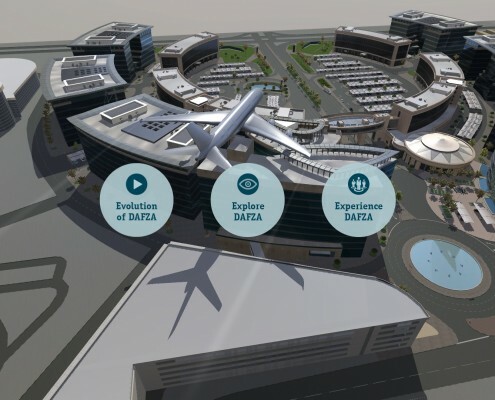 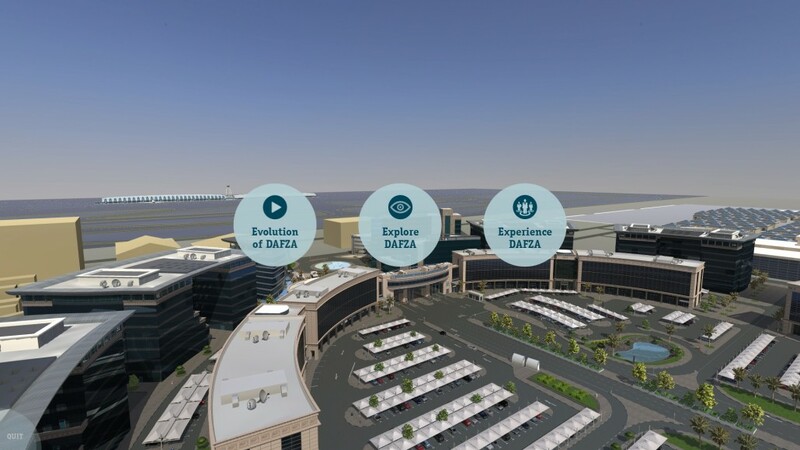 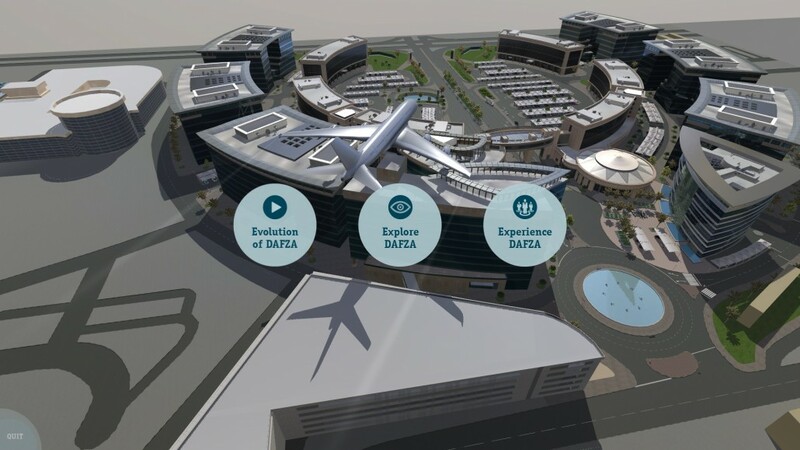 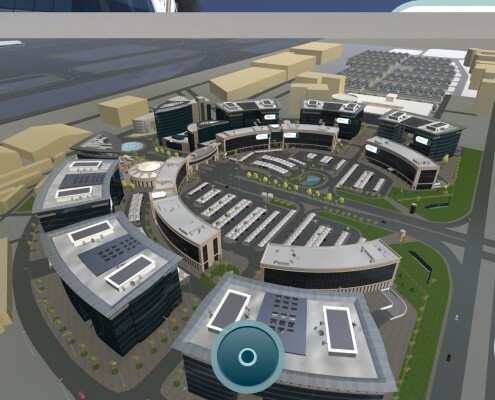 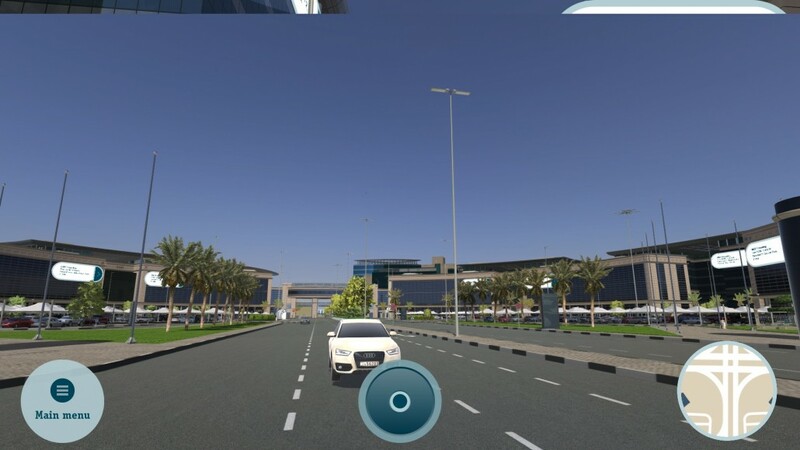 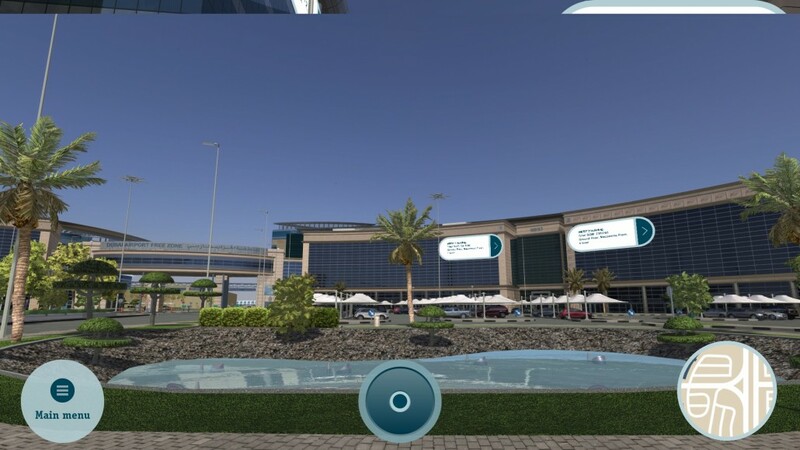 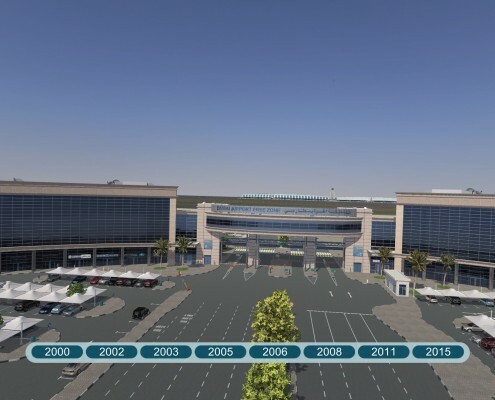 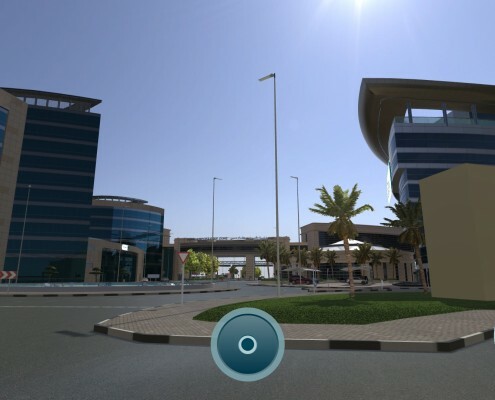 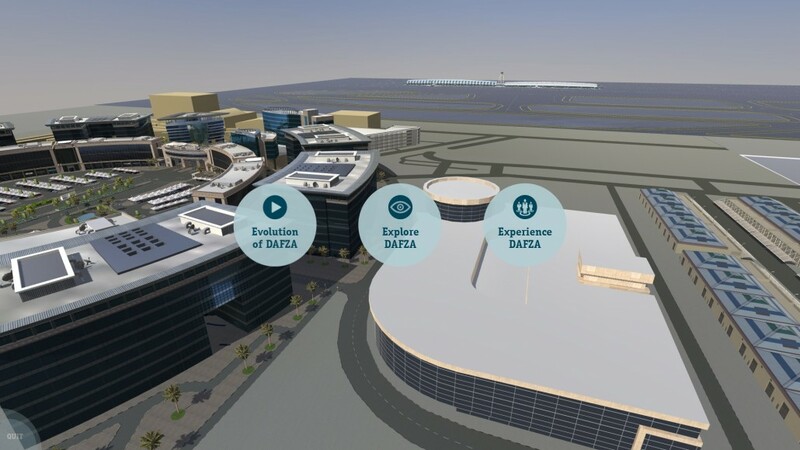 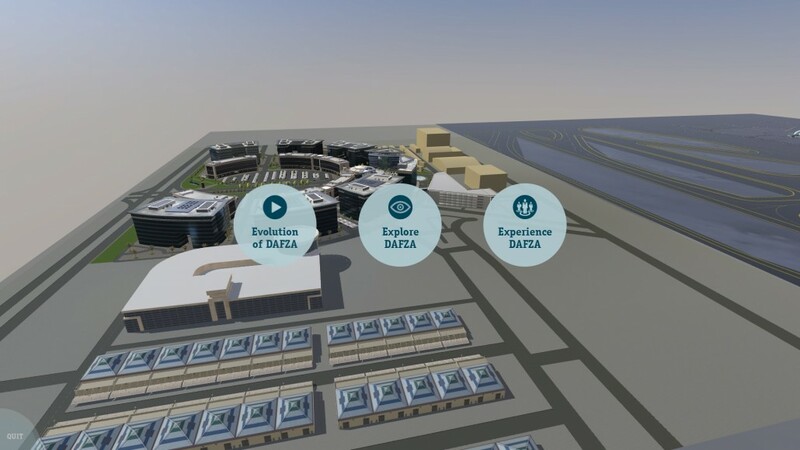 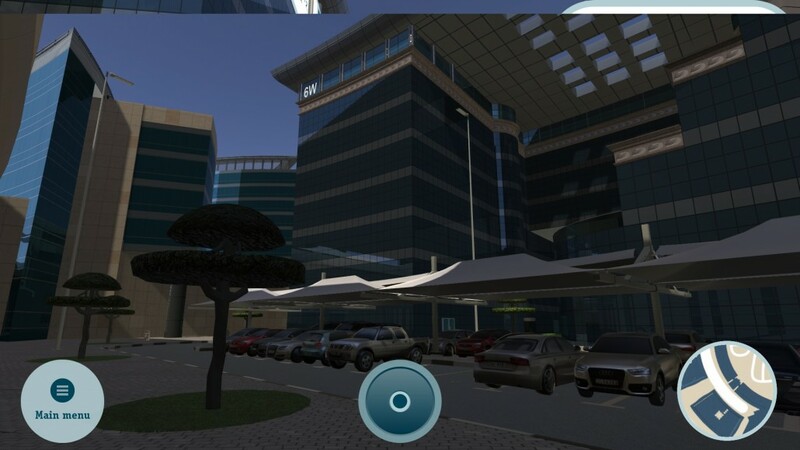 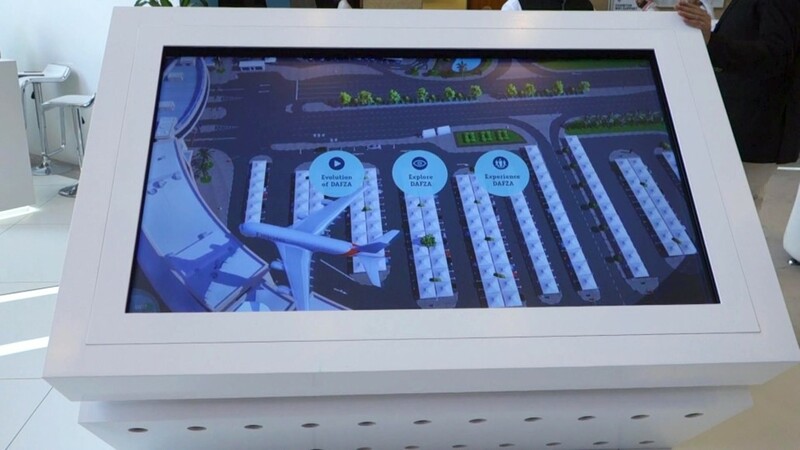 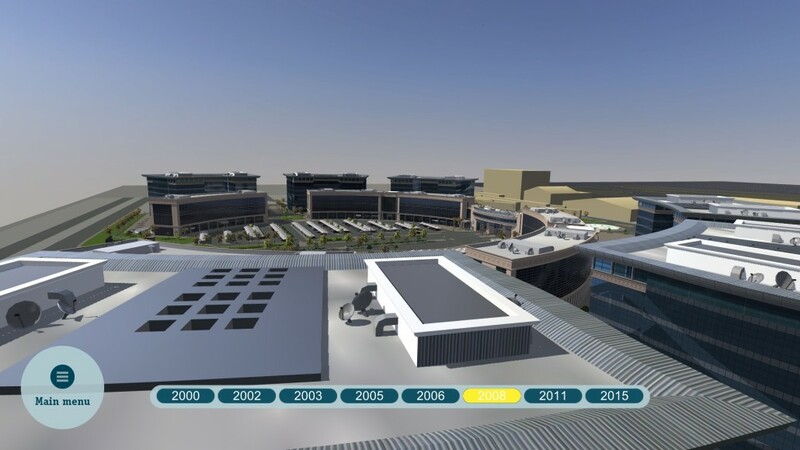 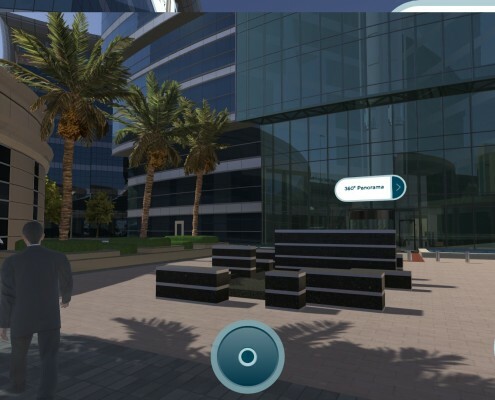 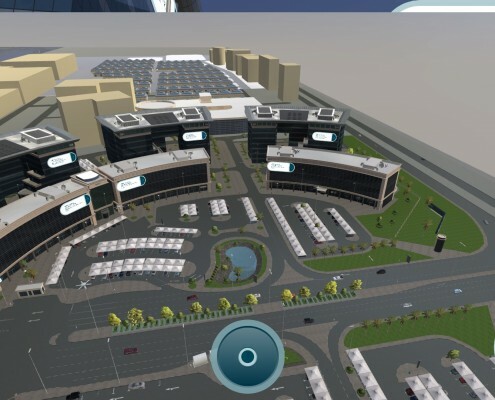 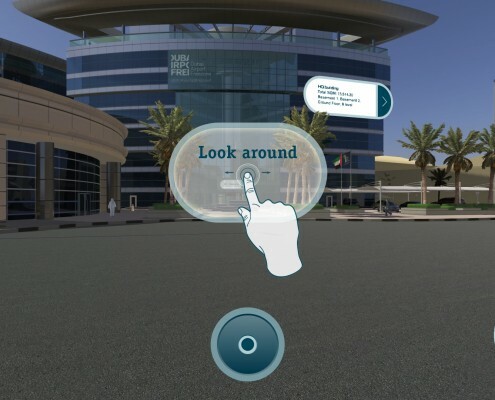 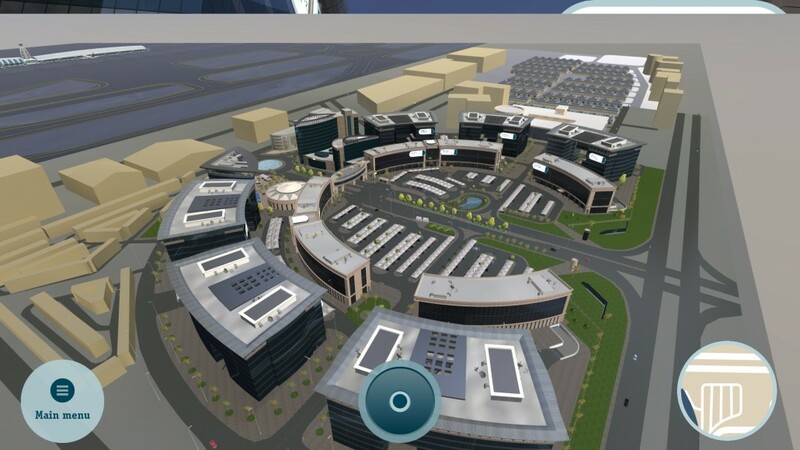 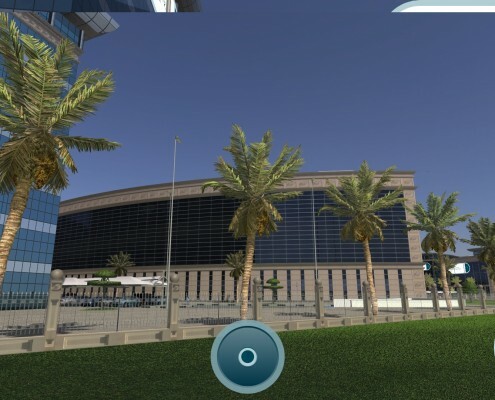 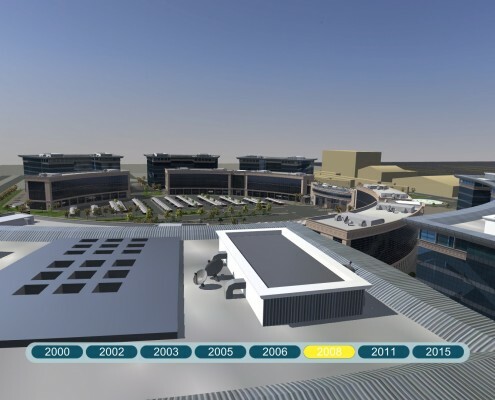 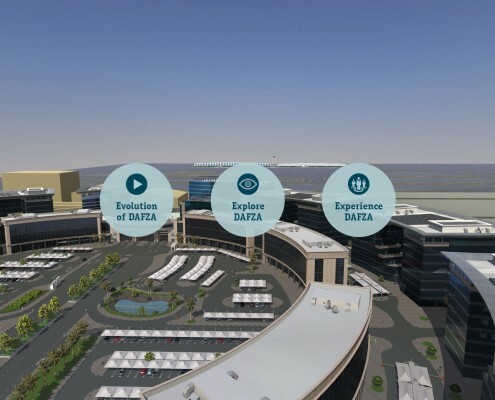 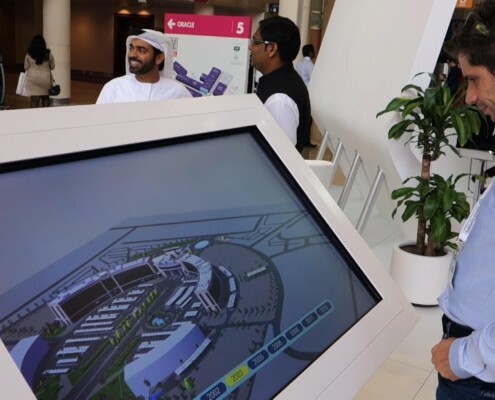 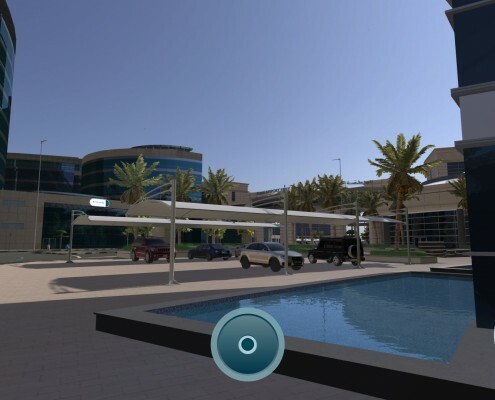 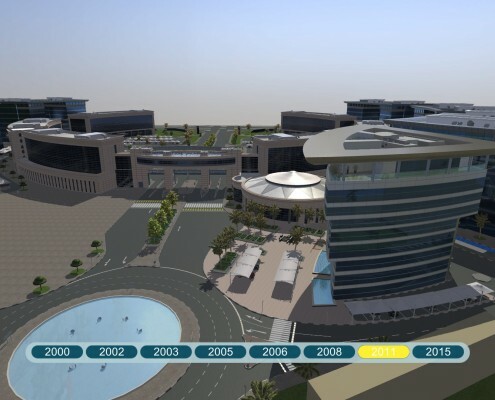 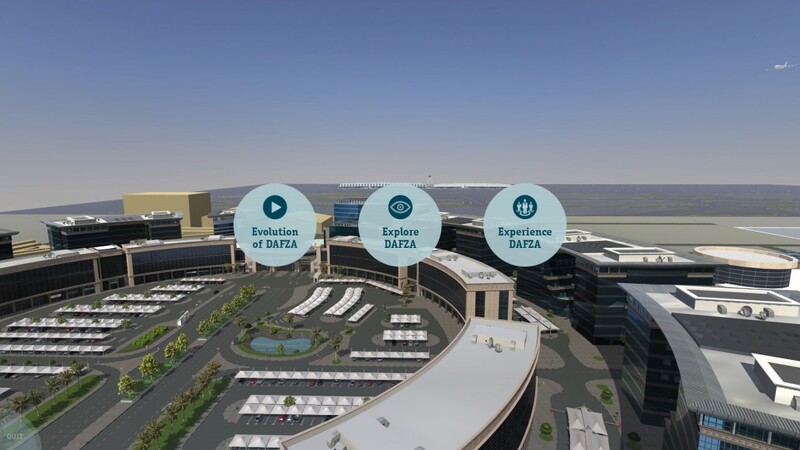 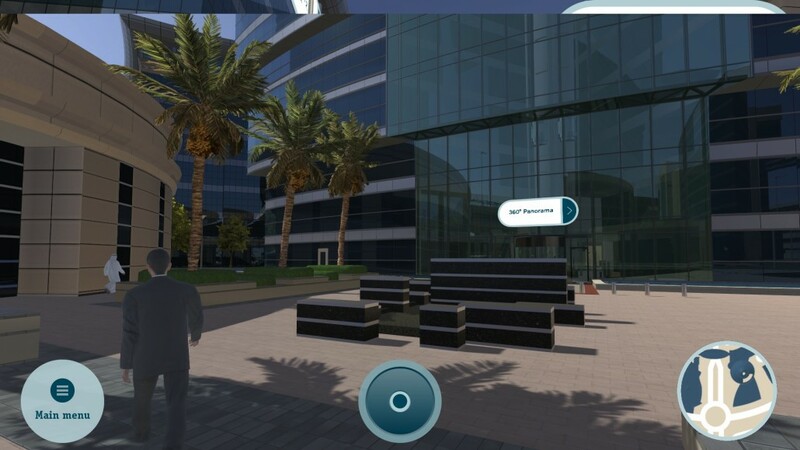 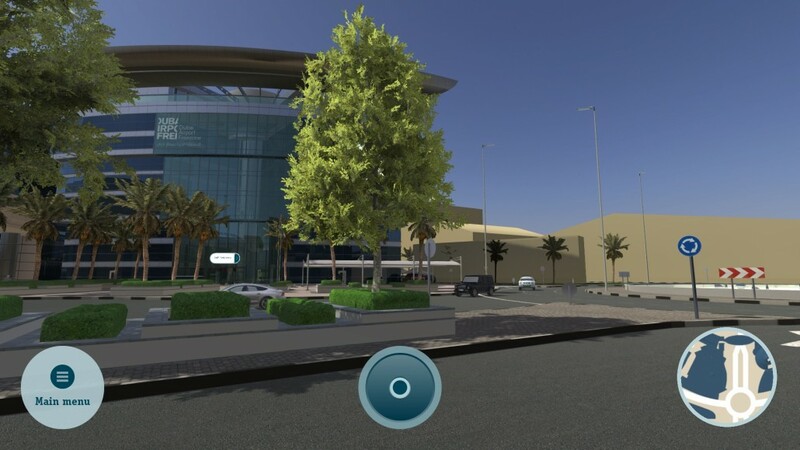 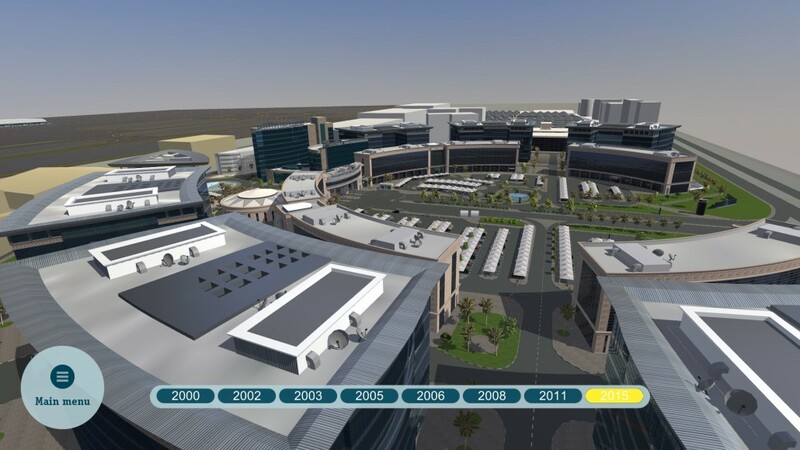 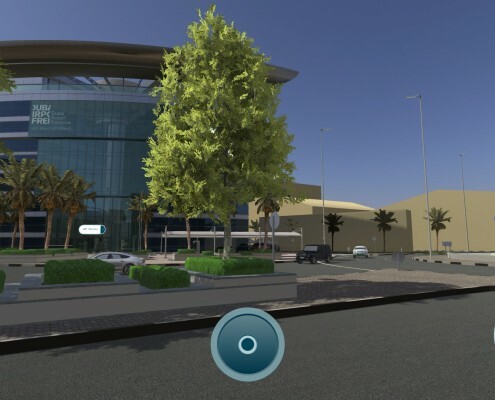 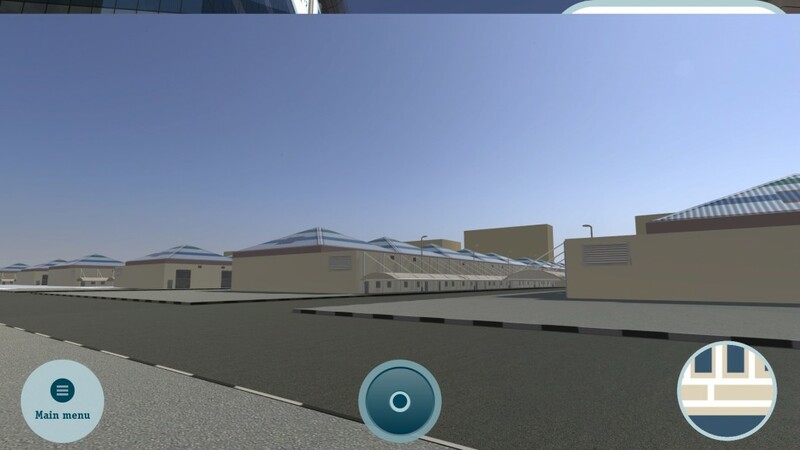 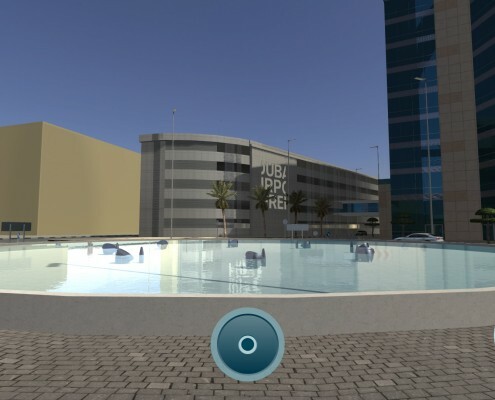 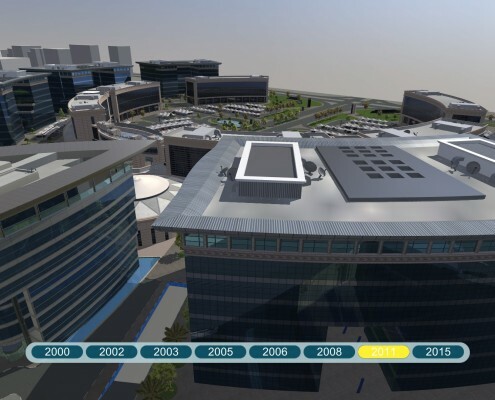 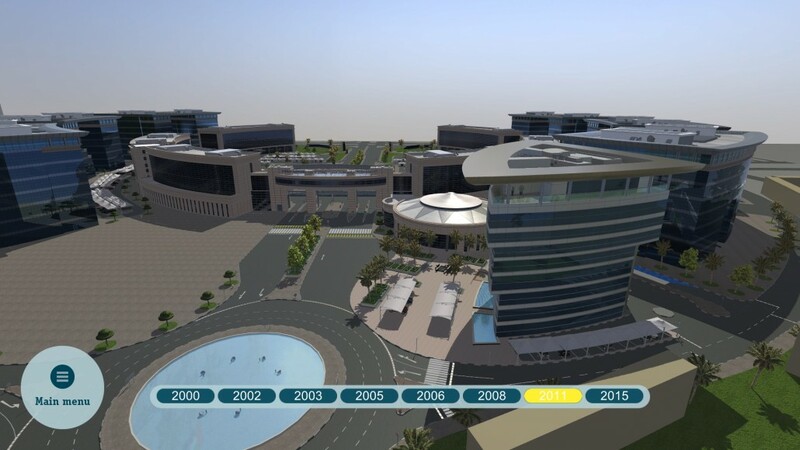 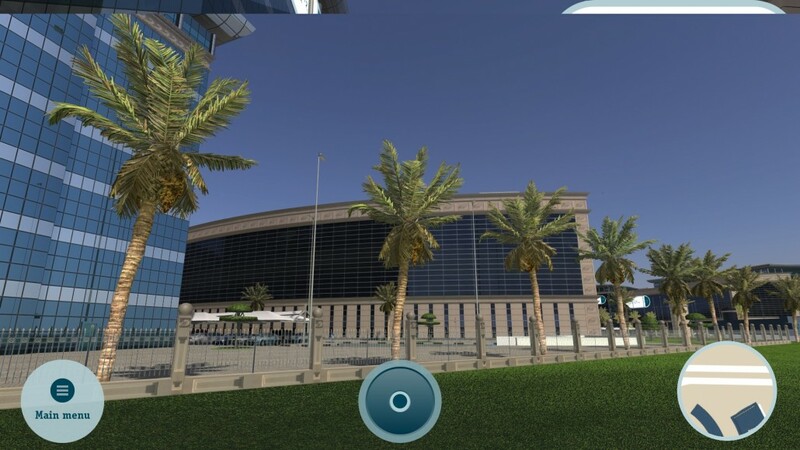 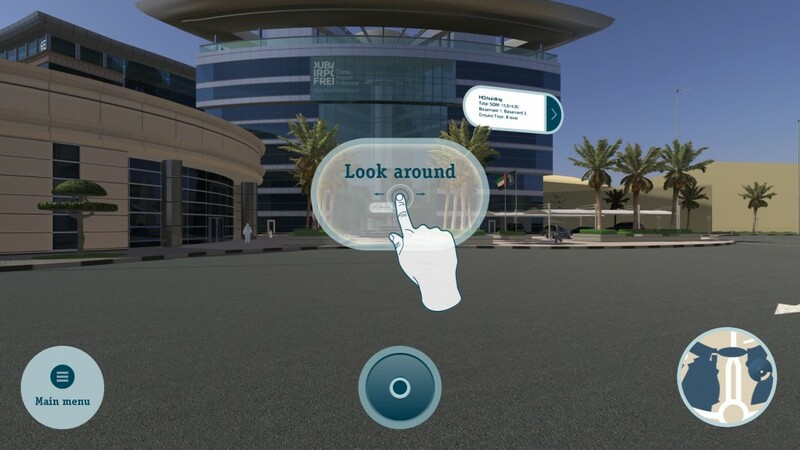 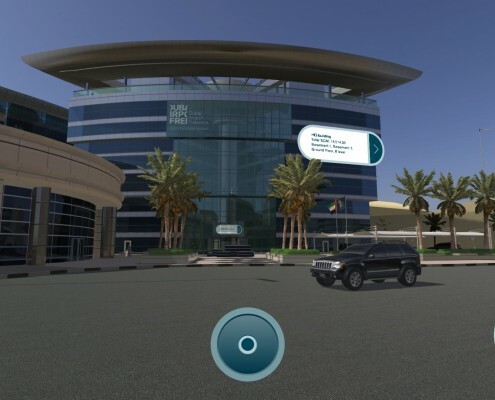 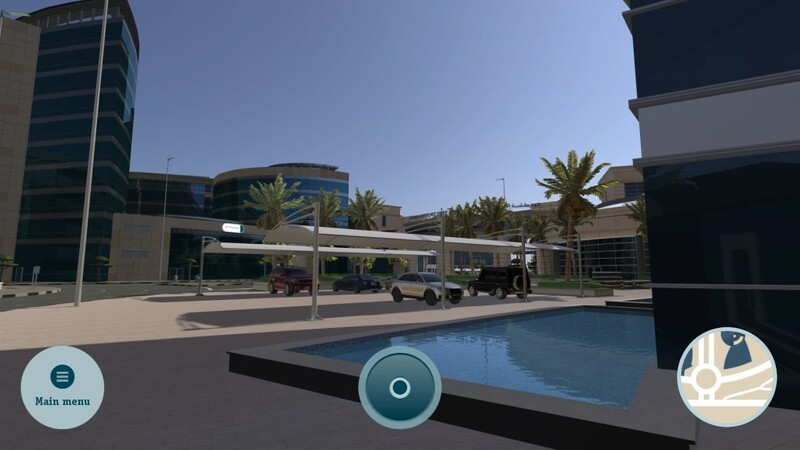 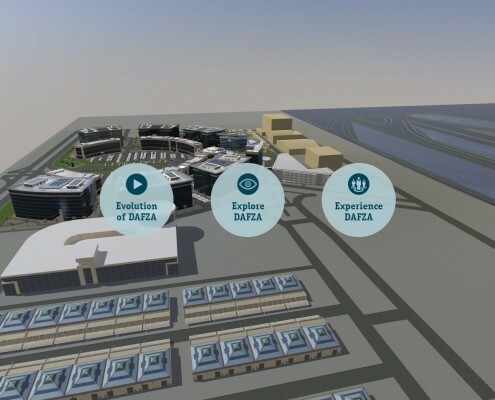 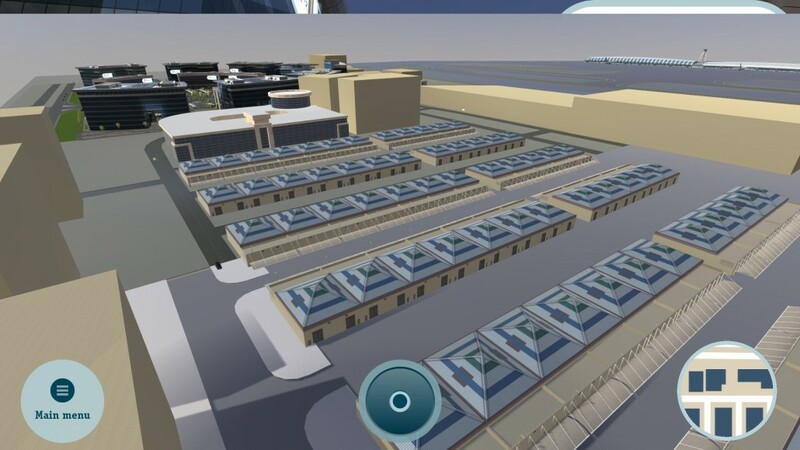 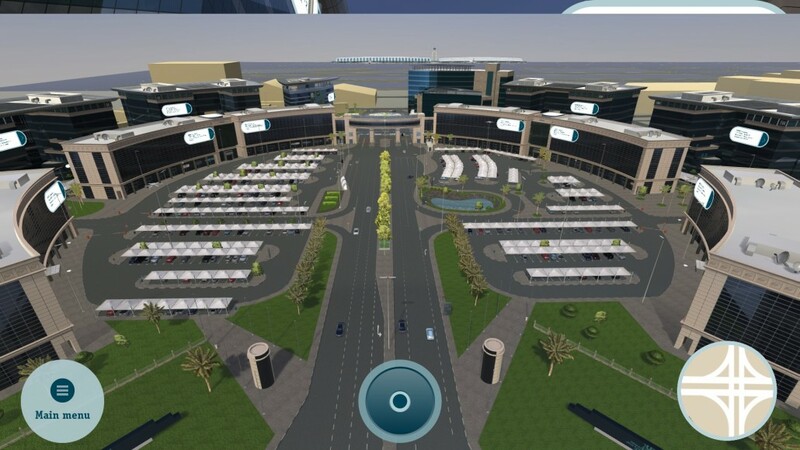 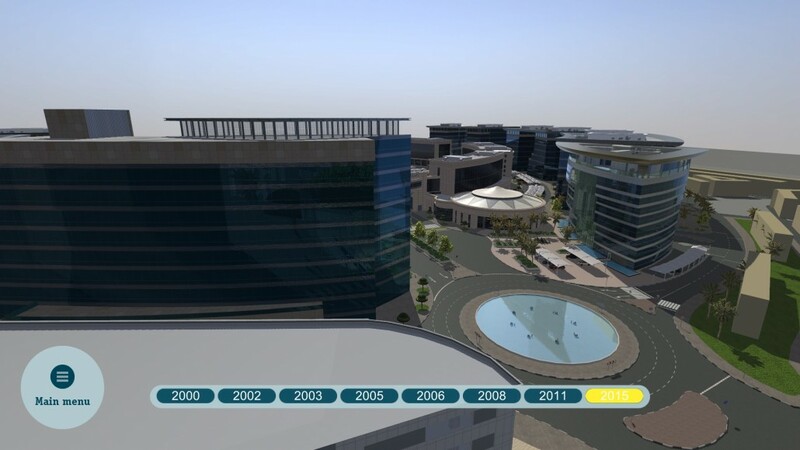 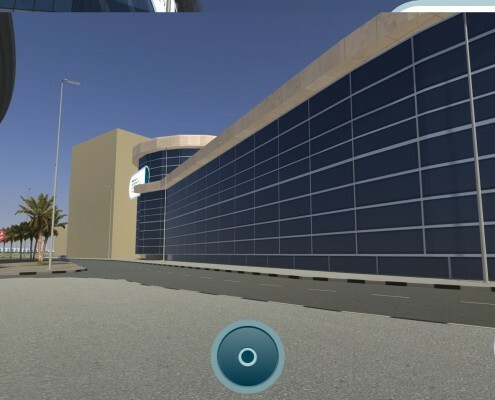 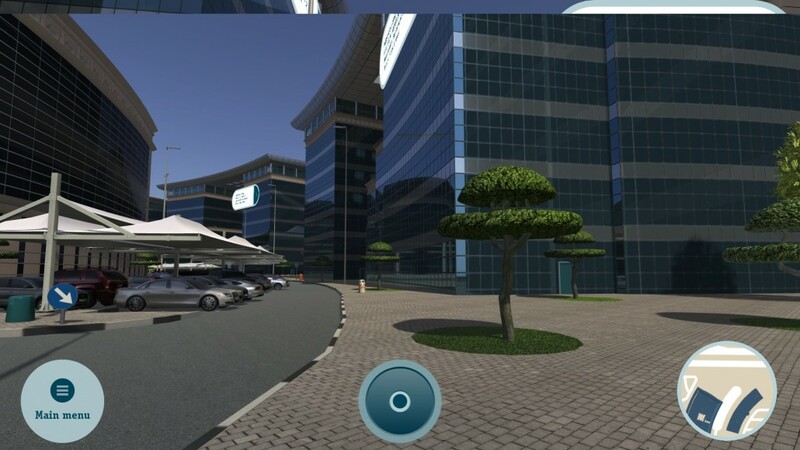 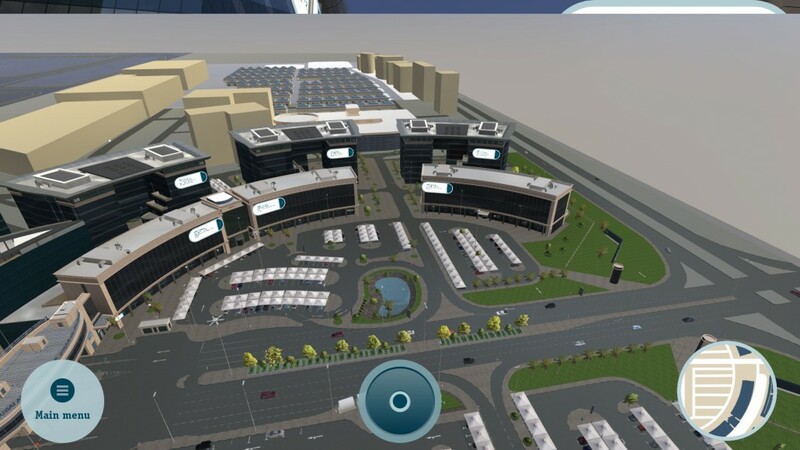 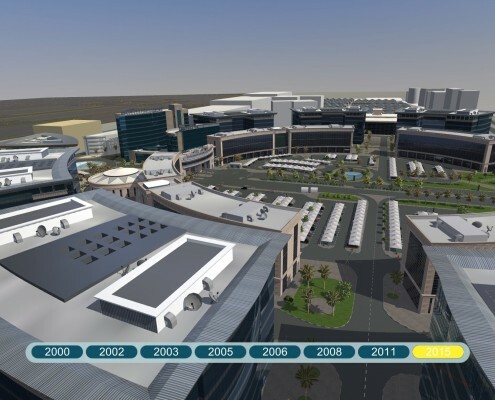 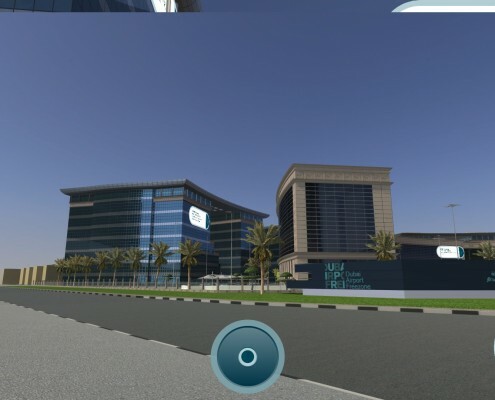 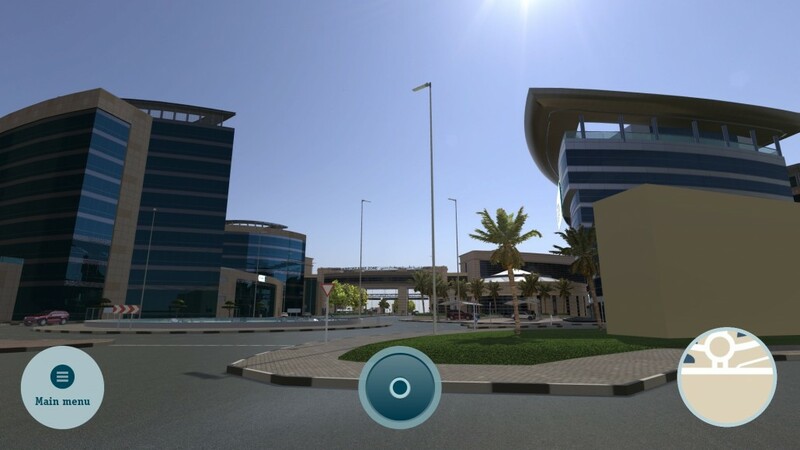 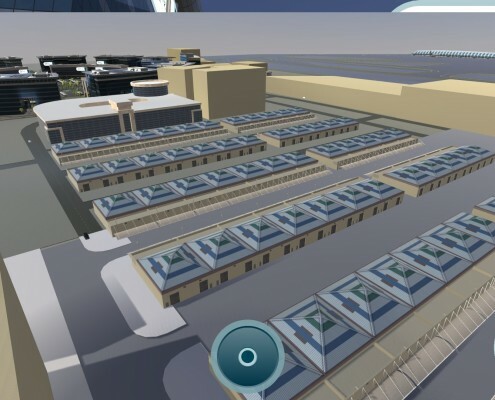 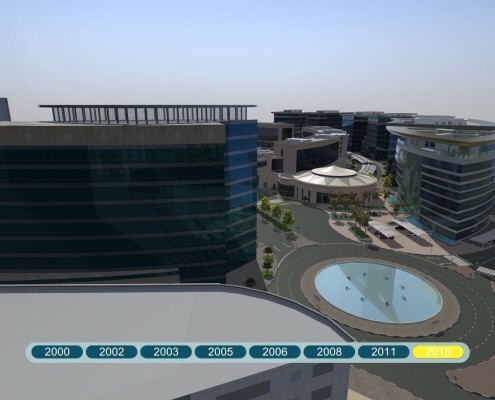 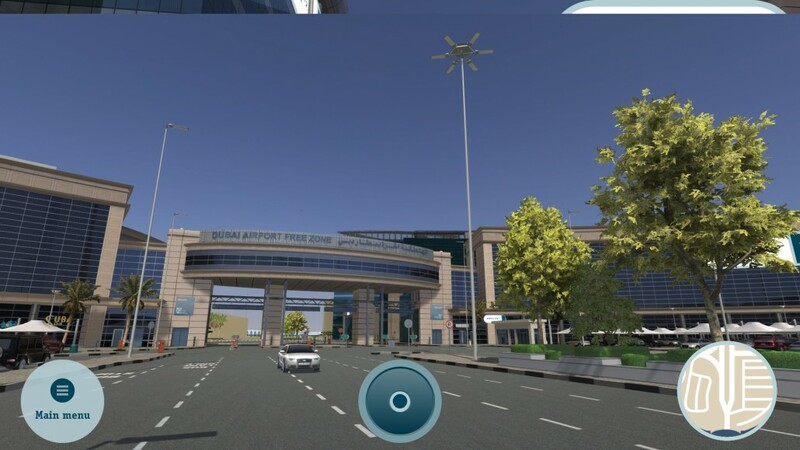 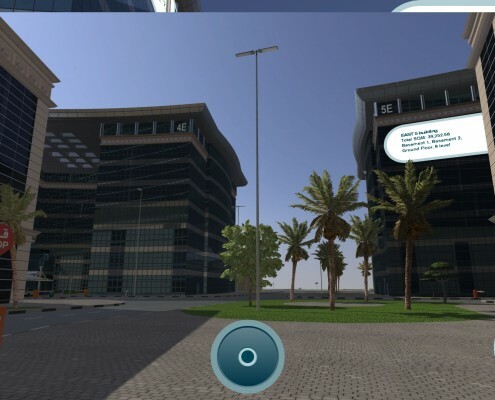 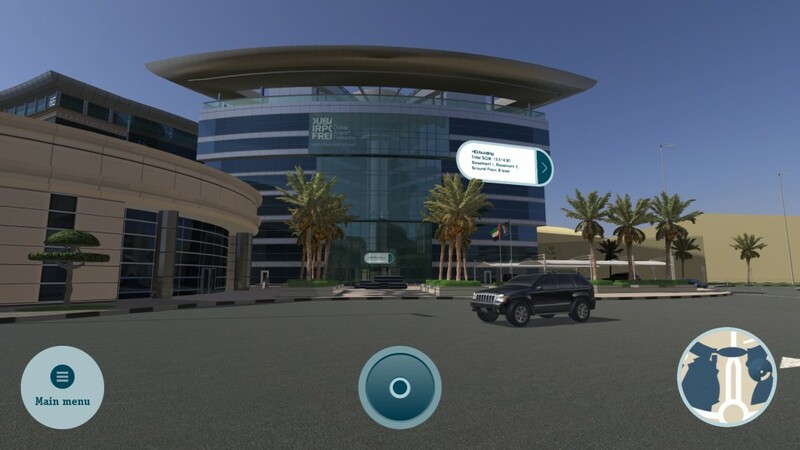 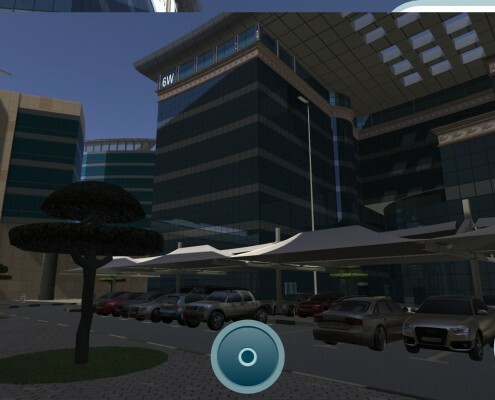 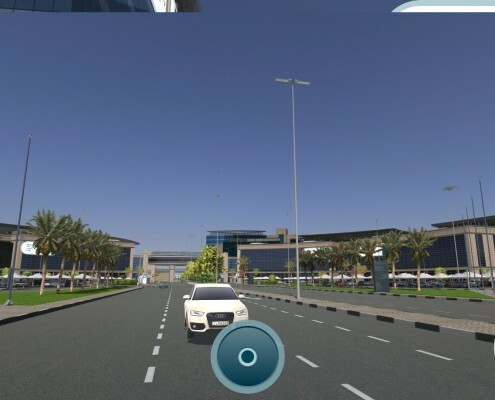 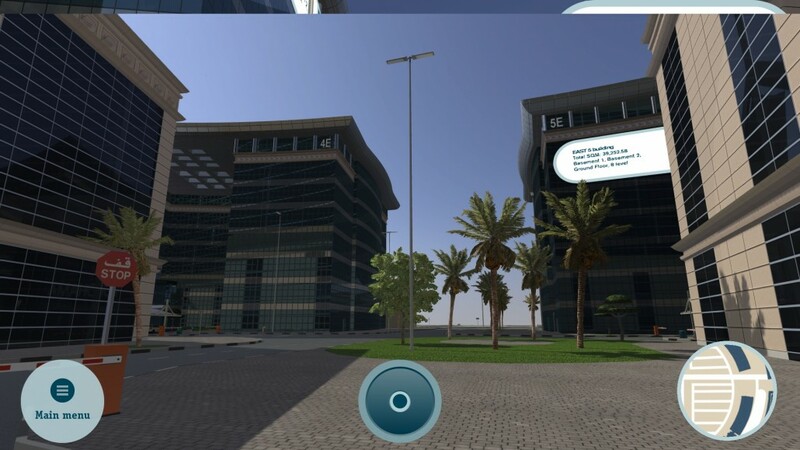 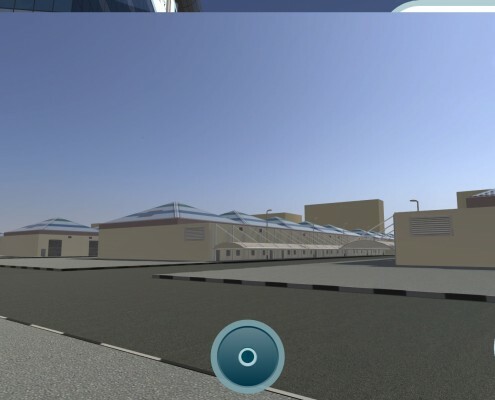 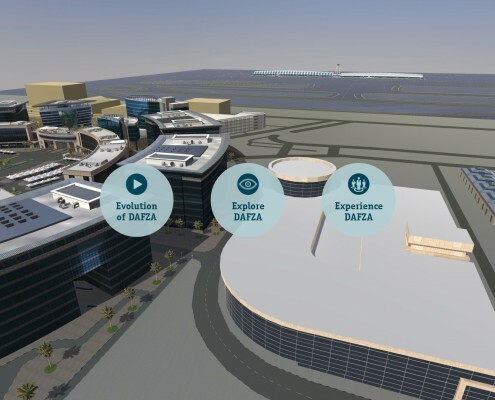 Explore: The most catchy part of the app is the free walk in real-life like 3D recreation of the DAFZA area – including the 20 main office buildings and more than 100 adjoining service buildings. 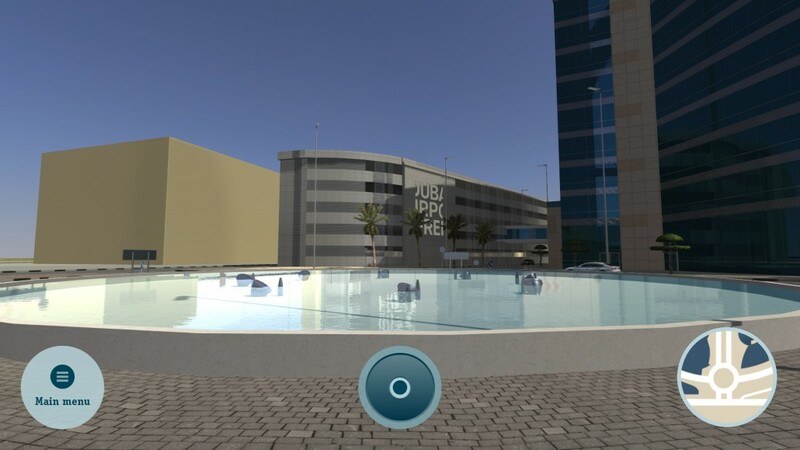 Users could freely explore, and get a great personal experience about the whole area, and could get an instant look at the leasable locations. 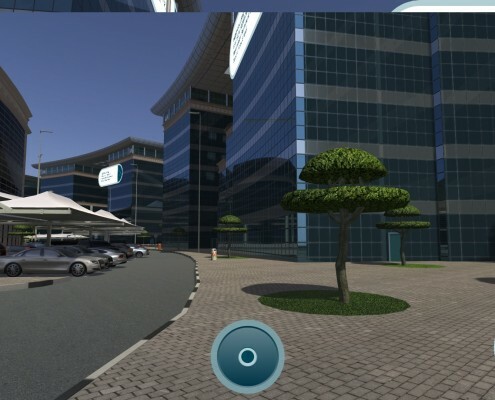 Moving cars, animated people and plants made sure, that the whole 3D environment looks realistic. 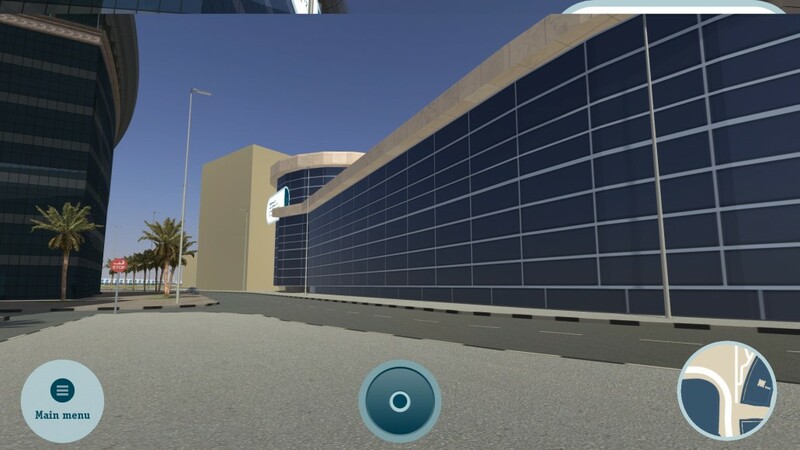 The free walk included 360 panoramic pictures too, so apart from the outside walk users could experience the inside of the buildings as well. 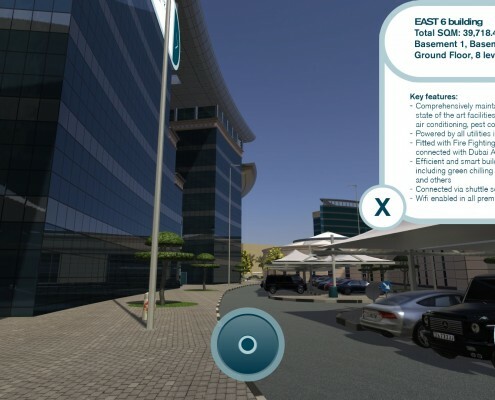 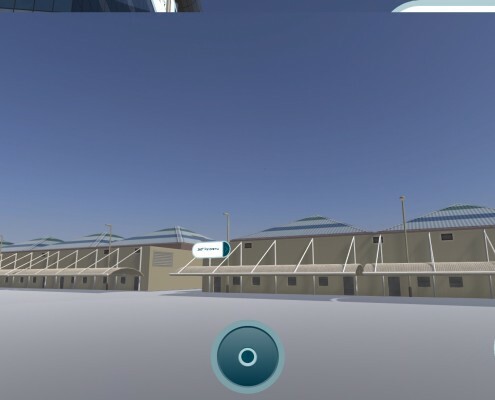 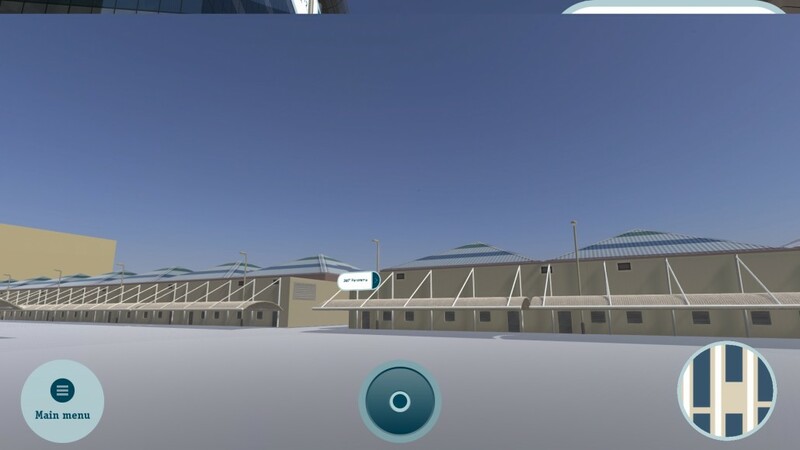 Combining the two technique, 360° panorama, and 3D modeling made the real-life experience even more catchy to users. 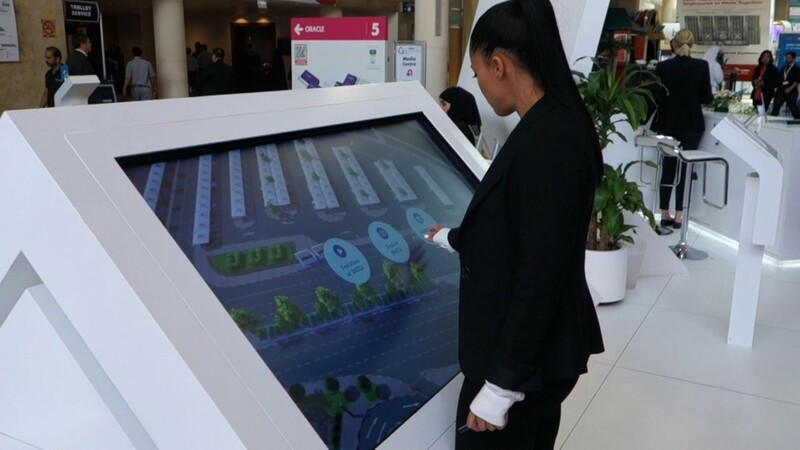 Experience: this is the actual sales tool part where customers already familiar with the environment could get information on the actual deals. 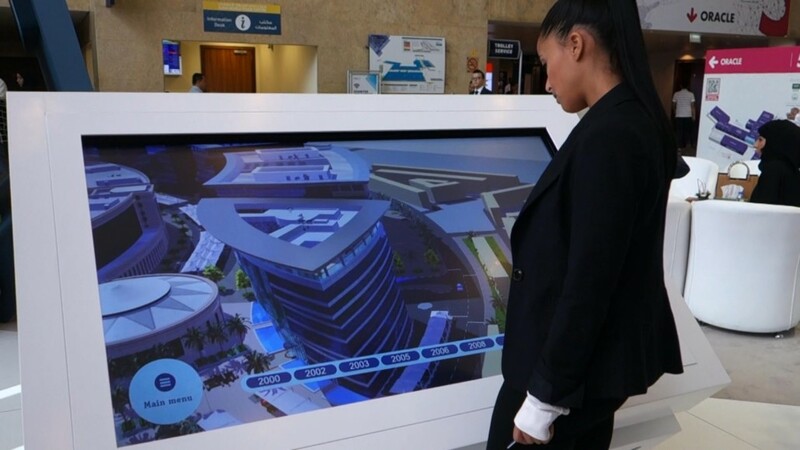 And more to that, they could go back, and check their future office instantly. 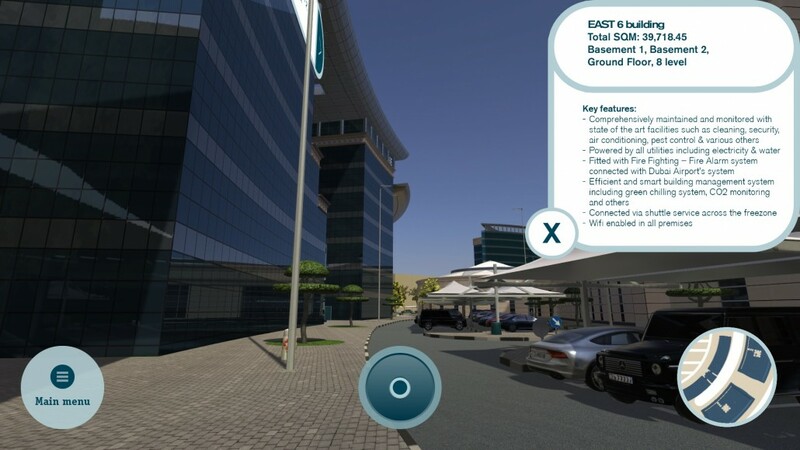 Those contents can be implemented to iPads, so in the future it can be a really useful mobile sales tool as well.